Many of the recordings below are linked to Amazon.com. Note that if you follow these links and make a purchase from Amazon, a portion of that will go to support Violinist.com. I've also listed the artists' names in italics, and sometimes those are linked to stories we have written this year about them and their work. And whenever you buy any of these selections, from any source, you'll be helping to support the musicians and other artists who created them. 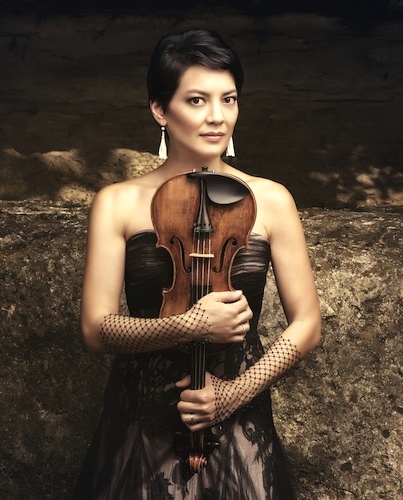 Anne Akiko Meyers' debut album on the 1741 "Vieuxtemps" Guarneri del Gesù features both "Four Seasons" and the Triple Concerto by Vivaldi, as well as Arvo Part's "Passacaglia." Performed with the English Chamber Orchestra, David Lockington conducting. Incidentally, the "Vieuxtemps" Guarneri del Gesù was "born" in 1741, and Vivaldi died in 1741 -- the same exact year! In about 2009, violinist Gil Shaham realized that most of his favorite violin concertos were written in the 1930s, that tumultuous decade between two World Wars. After performing these concertos live with orchestras around the globe over the last five years, he has set about recording them. In this two-CD set, Shaham performs concertos by Barber, Berg, Hartmann, Stravinsky and Britten, recorded with the New York Philharmonic, Staatskapelle Dresden, Sejong, BBC Symphony and Boston Symphony. 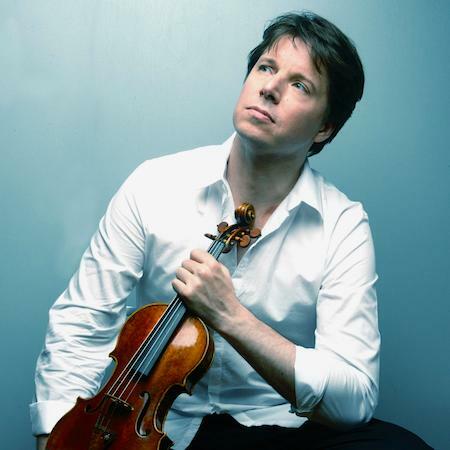 If you have not yet heard the fine violinist Augustin Hadelich (even if you have! ), here is a good place to start. This recording includes the Sibelius Violin Concerto and Thomas Adès' 2005 violin concerto, "Concentric Paths," as well as "Three Humoresques" by Sibelius. The thoughtful program notes are written by Hadelich himself, who speaks of working with composer Thomas Adès in order to truly understand his intentions. Recorded with the Royal Liverpool Philharmonic Orchestra, Hannu Lintu conducting. After some 200 performances of the Tchaikovsky Violin Concerto, Russian-born violinist Philippe Quint felt it was time to record this work that has been part of his musical backdrop since childhood. 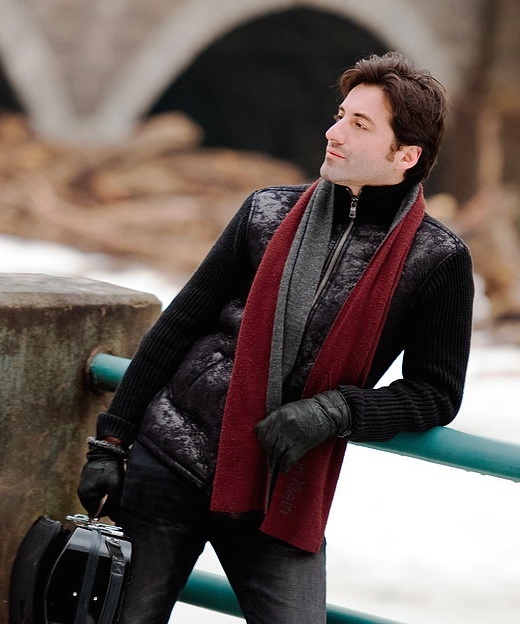 His first all-Russian album also includes Anton Arensky's gorgeous Quartet No. 2 in A minor, written in memory of Tchaikovsky and scored unconventionally for violin, viola and two cellos. Quint performs on the 1708 "Ruby" Stradivari. Whether prefer your Bach played in Baroque-style or not, this recording by one of the preeminent Baroque performance experts of our time shines the light in so many new corners of these beloved and seminal works for violin. Australian violinist and Indiana University violin professor Stanley Ritchie performs all the solo Sonatas and Partitas on an original Baroque violin in its original condition by Jacob Stainer, c. 1670, one of whose instruments was in Bach's own collection. Booklet text and essay by Stanley Ritchie presented in English, German, French and Italian. The Paganini caprices aren't just exercises or vehicles for virtuosity, "I'm convinced that there is a higher kind of musical agenda there, that (Paganini) is after," said 1998 Paganini Competition First Prize winner Ilya Gringolts. Gringolts' performance of all 24 caprices casts these much-recorded and studied works in new light and does not easily fit the old aural grooves. A jam-trio, born at the Curtis Institute, featuring violinists Zach de Pue and Nick Kendall, and bassist Ranaan Meyer. 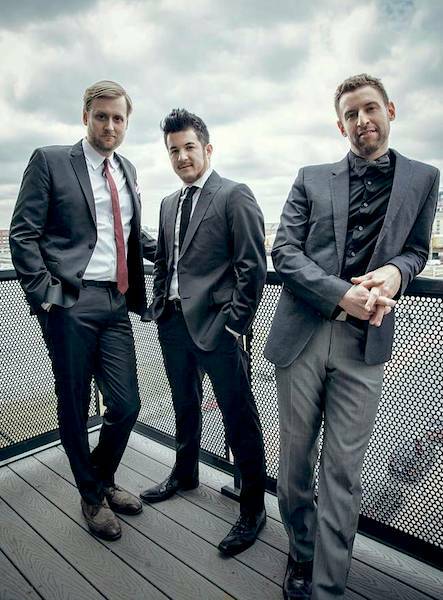 When it comes to music, nothing is off-limits for these guys; they draw on the rich and diverse musical mix that has been their American experience, whether it's pop, jazz, folk, alternative or classical. If they love it, they'll weave it in. The result is a synergy of genres, music where Bach's Chaconne ebbs in and out of Bon Iver's "Calgary," or a Beatles tune segues seamlessly into Chopin, and it all somehow makes sense. If you like the sound of solo violin, here is an aural treat, a journey sculpted carefully by Russian violinist Roman Mints using various microphone placings (he calls it "Spatial Orchestration") to give a very 3-D and live feel for the listener. The recording includes Ysaÿe's Sonata 2 ("Obsession"); Piazzolla's Tango Étude No.2; Tabakova's "Spinning a Yarn" for violin and the hurdy-gurdy-like Russian instrument, the kolesnaya lira (written for Mints, for his twins); Schittke's "A Paganini" and Silvestrov's "Postlude." Berlin Philharmonic concertmaster Daishin Kashimoto loves chamber music, and here is the evidence, this excellent recording of the complete Beethoven Sonatas for piano and violin, with Russian pianist (and many would say "genius") Konstantin Lifschitz. In the liner notes, American violinist Joshua Bell quotes Hector Berlioz: "There is no god but Bach, and Mendelssohn is his prophet." In this context Bell presents in this recording the Mendelssohn-orchestrated version of Bach's epic Chaccone from Partita 2, originally written for violin alone. It's clearly one of Bell's favorite pieces (he played it in the subway, and he says he frequently plays it in his practice as a kind of soul-cleanse) and he plays it with complete ease. Love or hate the Chaccone with accompaniment, it's interesting to discover what Mendelssohn heard underneath this music. Bell also performs Bach Violin Concertos No. 1 in A minor and No. 2 in E major, the Schumann-orchestrated version of Gavotte en Rondeau from Partita 3; and "Air." All performed with the Academy of St. Martin in the Fields, of which Bell is the musical director. Let's just put the viola front-and-center, as soloist with orchestra! This satisfying and viola-centric recording premieres Los Angeles-based composer Michael McLean's Suite for Viola and Orchestra, commissioned by violist and University of Texas-Austin Professor and Chairman of Strings Roger Myers as a memorial to his mother. The piece is hopeful in sentiment and lushly orchestrated. The recording also includes two chamber pieces, upsized for viola and orchestra: McLean's arrangement of Schumann's Märchenbilder and Vladimir Mendelssohn's arrangement of Shostakovich's Viola Sonata, Op. 147. The Boston-based Handel and Haydn Society was the first chamber group to ever perform Handel's "Messiah" in America, and now the group is celebrating 200 years of existence. The group has evolved into a period-performance ensemble, and their performance of the well-known "Messiah" oratorio is compelling -- nimble and lively. Harry Christophers conducts. In a Romantic mood? Here is some exquisite music, all composed 1886-1887, exquisitely played by French violinist Renaud Capuçon and pianist Khatia Buniatishvili. Tracks include: the Franck Sonata, Grieg Sonata No. 3 and Dvorák "Romantic Pieces" Op. 75. Violinist Jennifer Koh plays with her former teacher and mentor, Jaime Laredo, in a program that relates Bach's Concerto for Two Violins in D minor (which we lovingly call the Bach Double) to three modern works by living composers David Ludwig, Anna Clyne and Philip Glass. 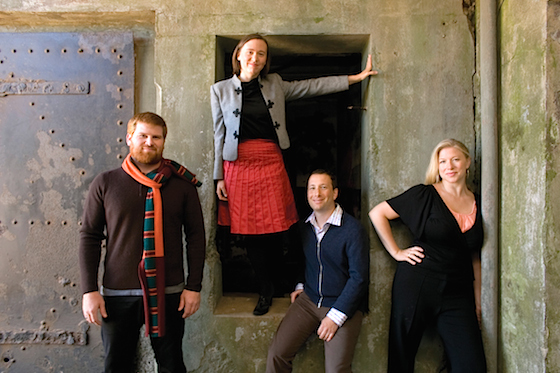 Members of the Chiara String Quartet weren't just being romantic (or Romantic) when they named their latest album "Brahms by Heart." They actually played all three of Brahms' String Quartets, plus one Quintet -- by memory when they recorded it. This is for lovers of lieder, but this lieder is accompanied by harp instead of piano. In fact, all the pieces on this disc have harp in place of piano, for a nice ethereal affect. 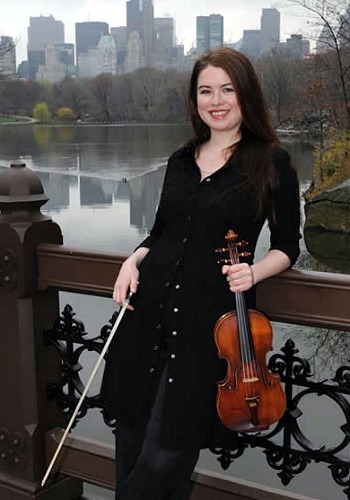 It also includes Lara St. John playing Schubert's Sonatina for Violin and Piano (Harp), Op. 137. Beethoven's "middle" quartets, written in the early 19th c., are the ones that really began to break new ground for the genre, with increasing scope, technical demands and emotion. In this three-disc set the Cypress String Quartet performs Beethoven's five middle quartets: Op. 59 Nos. 1, 2 and 3; Op. 74 ("Harp") and Op. 95 ("Serioso"). Schumann wrote three quartets, all in the span of a three-week period in the summer 1842, and it's a pleasure to hear them played by the Ying Quartet, which is the quartet-in-residence at the Eastman School of Music. This book is a compilation of 27 of Violinist.com's best interviews from the last decade, with lovely photos of the artists and a beautiful cover that looks great on any coffee table. 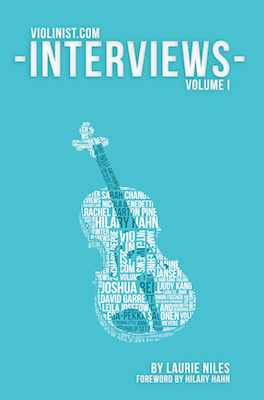 Violinists interviewed include: Hilary Hahn, Joshua Bell, Sarah Chang, David Garrett, Anne Akiko Meyers, Ruggiero Ricci, Maxim Vengerov, Nadja Salerno-Sonnenberg, Gil Shaham and Adele Anthony, Rachel Barton Pine, Nicola Benedetti, Anne-Sophie Mutter, Zachary DePue, James Ehnes, Simon Fischer, Augustin Hadelich, Janine Jansen, Leila Josefowicz and Esa-Pekka Salonen, Philippe Quint, Tasmin Little, Elmar Oliveira, Stanley Ritchie, Lara St. John, Philip Setzer, Clara-Jumi Kang and Judy Kang. It can be expensive to subscribe to this U.K.-based print magazine, but that's why you ask Santa for it. Sometimes it comes with gorgeous posters of famous fiddles, etc. The Handel-Halvorsen "Passacaglia" is a popular duet written for violin with either viola or cello. But did you know that you can play it with two violins? 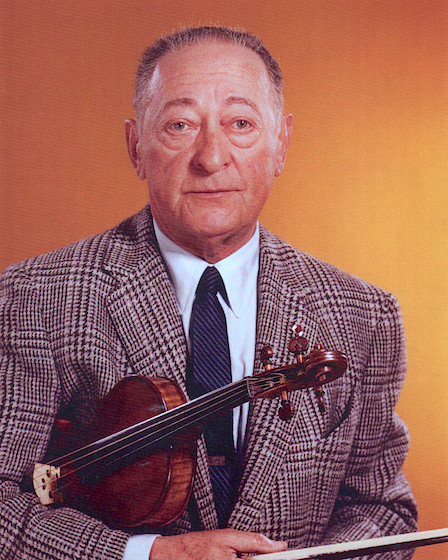 In fact, Jascha Heifetz wrote a version for two violins, and it was just re-discovered and published in this year. Here is the sheet music. A 4-disc DVD chronological memoir of live performance from American violinist Aaron Rosand's private audio-visual collection. Canadian violinist Lara St. John breaks down two of the most well-known violin concertos measure-by-measure, with complete and detailed lessons on all movements of these famous works. Each DVD includes full performances of the concerti, piano accompaniment practice track, a downloadable edition of the sheet music edited by Lara and Joey Corpus, and Lara's extensive demonstrations of technical exercises. Still need ideas? 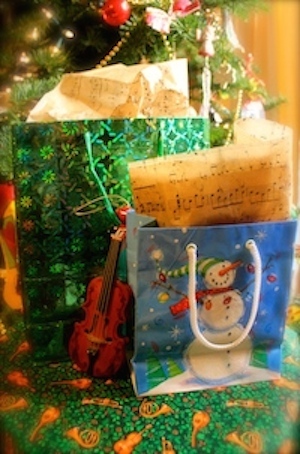 Check out our gift-giving guides from previous years, which also include recent releases and violin-related projects by current-day violinists, composers and authors! Many thanks for these useful lists, Laurie! Of course this season, I will mostly be giving Not by Love Alone away as a present. 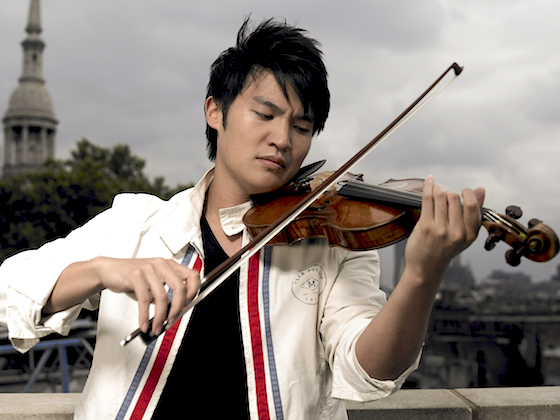 However, The Violinist.com Interviews is definitely on my short list for a present to myself! The main reason I haven’t bought it already is that I haven’t got around to making space for (yet) more books on my overflowing shelves.